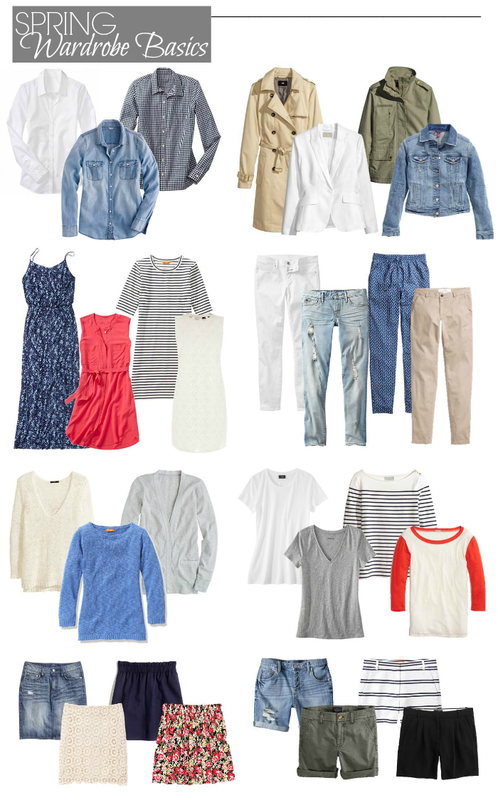 After Tuesday’s post when I mentioned being well-stocked on basics, I had a request on Facebook to share what I think are wardrobe essentials for spring (thanks to Shellaine for the suggestion!). 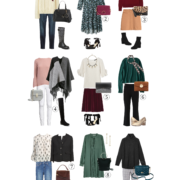 For brevity’s sake, I decided to focus only on casual pieces – obviously, if you work in a professional environment, you will need more polished garments like trousers and silk blouses. I’ve also left out shoes & accessories, as I know those really depend on lifestyle & personal preference. My goal was to create something that you can loosely use as a guideline to ensure you have enough everyday pieces to mix and match. 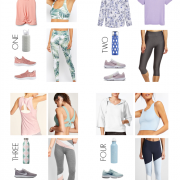 It’s not so much about these specific items below (though I did include links), but more about the idea behind them – for example, your maxi dress could be a solid color or if you’re not a fan of the ripped denim look, just focus on finding a pair in a lighter wash without distressing. If this is a helpful post, I may continue to do them for each season going forward…so let me know what you think. Also if you have suggestions for future content that you’d like to see, please share in the comments below – I love hearing your ideas and getting feedback on how to make the information here as beneficial as it can possibly be!